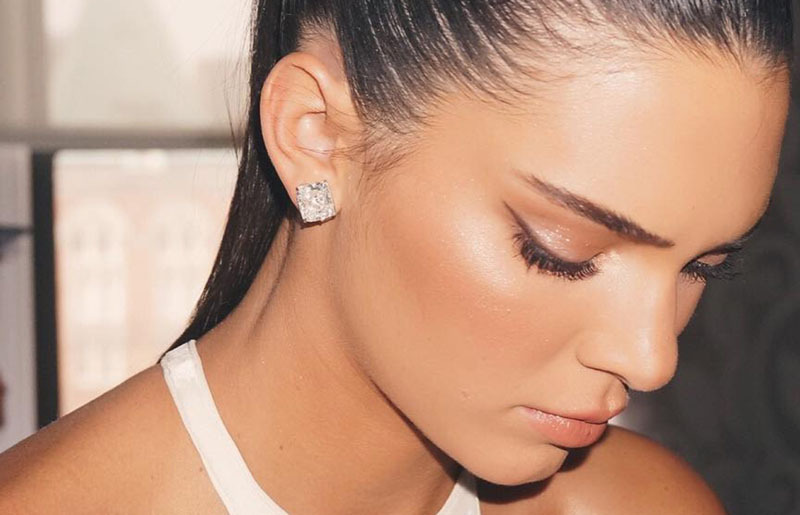 Wondering how to minimize pores? The size and look of your pores depend on quite a few factors— things like genetics, skin type, exposure to sun, and age are all part of the equation. And regardless of their size, they actually serve an important purpose. "Pores allow the skin to breathe, and are the passageway between the inside of the body and the outside," says dermatologist Paul Jarrod Frank, M.D. Okay, so pores are totally necessary for our skin, but we can make them less noticeable — and shrinking their appearance is not as hard as you may think! We spoke with Dr. Frank and other dermatologists to get their expert advice on how to shrink pores. 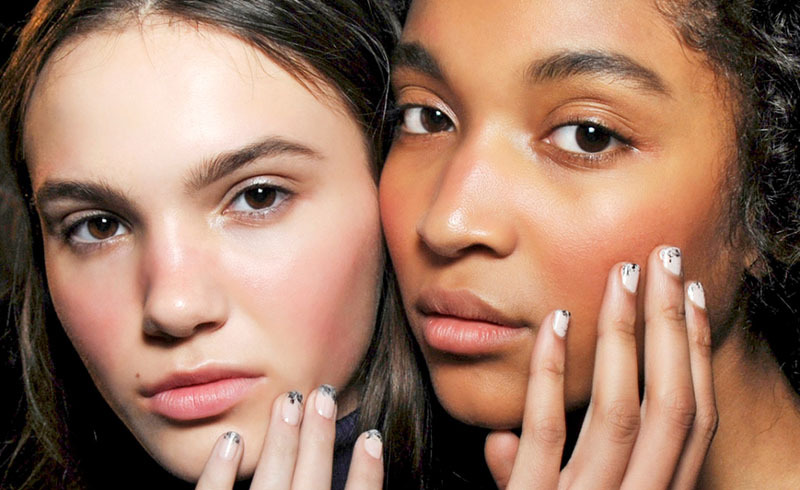 Here, 12 tips that will have your pores looking flawless. Put away the magnifying mirror. First of all, this has to be said: No one sees your pores the way you see them in the mirror. What to you is a glaring connect-the-dots game on your face to everyone else is normal skin. So the first step in dealing with your pores is mental: Loosen up! But the next steps are very real and give you very real results, taking your possibly-slightly-visible pores down to the definitely-need-a-microscope-to-see-them level. "Daily cleansing and regular exfoliation are the best ways to keep pores clean," says Dr. Frank. Makes total sense: Pores free of gunk are going to be way harder to spot. But first, you need to coax those suckers to open up so you can get everything out. According to Dr. Frank, heat or steam is the best way to get the job done—try applying a warm washcloth to your face before scrubbing up." You can cleanse twice a day or once a day, but if you cleanse once a day, choose the night time. At the end of the day, your skin will have a buildup of dirt and/or makeup, and it's critical to clean that all out before going to sleep. Add a scrub to your weekly skincare routine. "Incorporating a scrub into your skincare regimen is also beneficial. Just be careful not to over-exfoliate the skin—a scrub once a week is fine," says Dr. Frank. That being said, look for a gentle exfoliator. "Though exfoliation is important for ridding the skin of dead cells, you can end up irritating it (if you use a rough exfoliator), which can lead to swelling that causes your pores to appear even larger," adds Neal Schultz, M.D. Unless your cleansing or in the middle of other skin care, keep your hands off! The bacteria on your fingers can transfer to your face and make their way into your pores, so it's best to minimize the time you spend touching your face, let alone picking at it. Picking at clogged pores can be tempting, but ultimately, it usually results in an angrier blemish, blood, scabbing and even scarring. Apply a primer with SPF. Always remember to wear sunscreen to protect your skin from harmful UV rays. “UV and pollution cause free radicals that break down the collagen and elastin in skin, making the skin less tight and [making] pores look larger,” dermatologist Tsippora Shainhouse, M.D. says. Many sunscreen formulas are shiny, however — and that only makes pores look more prominent. Primers that contain SPF are a perfect solution since they multitask by smoothing over pores while also providing sun protection. Treat yourself to a chemical peel. Another solution for how to tighten pores? A chemical peel. This in-office treatment will improve the appearance of your pores over time. The new generation of peels work under the surface of the skin and give you an instant glow without making your skin look worse before it looks better. Whether prescription strength or over-the-counter, retinoid cream will help boost skin cell turnover, which makes for happier pores. You'll see noticeably smaller-looking pores in a matter of weeks. Use a clay mask to unclog your pores. Clay masks are another secret weapon for how to minimize pores, because they work to quickly unclog pores by wicking out all the oil. According to Dr. Schultz, that oil build up can make your pores look up to five times larger — so clearing out the gunk is essential. Look for products with glycolic acid. "My favorite ingredient for treating enlarged pores is glycolic acid because it works the best at dissolving dead cells and absorbing oil," says Dr. Schultz, with lactic acid as his second-string contender. "Lactic acid is the weaker sister to glycolic and can be equally effective." Lathering on heavy oils or oil-based creams (that includes natural oils like coconut and olive!) is a recipe for clogged pores, even if you have dry skin. These oils will mix with your dead skin cells and congest the pores, explains Dr. Schultz. It's best to avoid all this by choosing water-based products instead. But don't be afraid of oil-based cleansers. Don't be afraid of oil-containing cleansers! Facial oil dissolves better in oil than in water. For oily or combination skin, look for a cleansing milk. For dry skin, try using a small amount of a balm-type product that adds moisture while cleaning out pores. And, of course, it's always helpful to talk to your dermatologist about the best pore-minimizing products that are right for your skin. While this isn't an actual solution to how to shrink pores, avoiding shimmery makeup will definitely help their overall appearance. "I often see patients wearing 'luminizing' makeup all over their face, which spotlights enlarged pores. Keep shimmery makeup limited to the areas of the face that naturally have small pores (the tops of the cheekbones, the upper bridge of the nose, the forehead by the hairline, and the eyelids), and use matte products on any areas with larger pores. This will draw the eye to the smoothest areas of your skin," advises dermatologist Noelle Sherber, M.D.